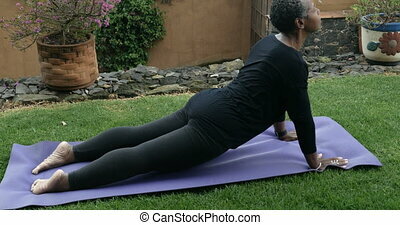 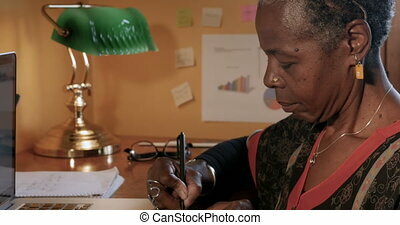 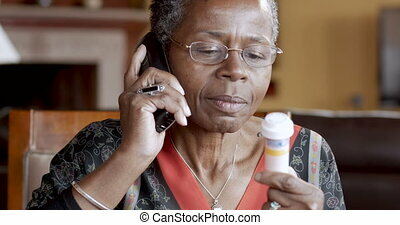 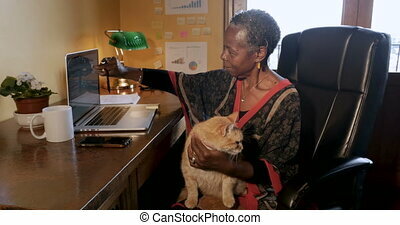 African american senior woman putting on glasses to read her prescription bottle. 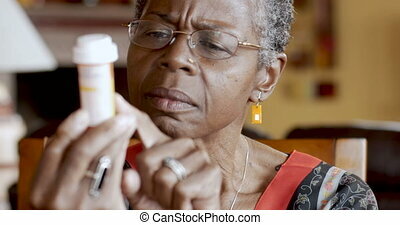 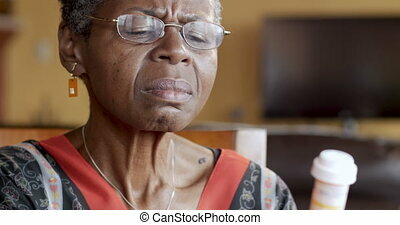 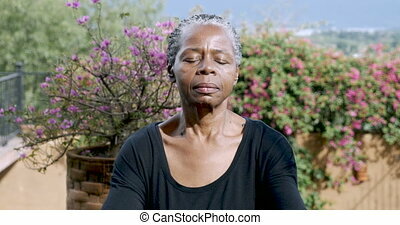 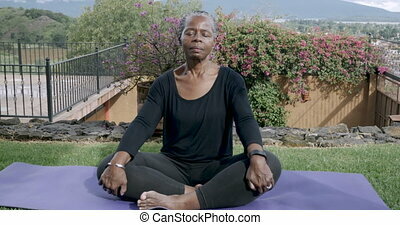 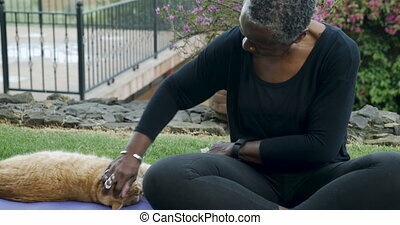 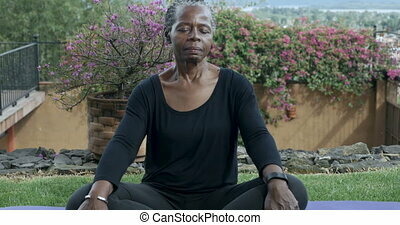 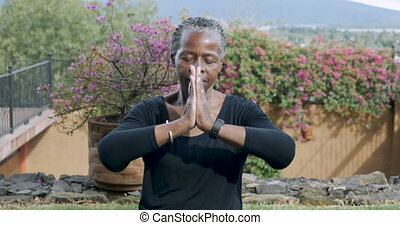 African american senior woman in 60s putting on glasses to read her prescription bottle. 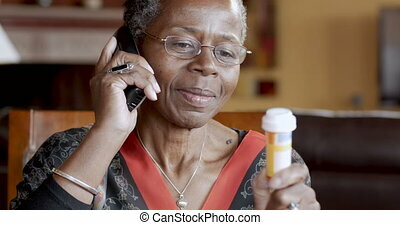 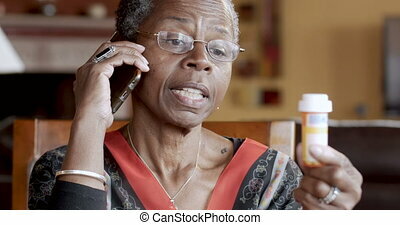 Cheerful African American senior woman finishing refilling her prescription or conversation with her doctor or health care provider.